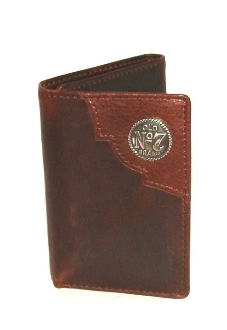 Jack Daniel's Brown leather Tri-Fold western wallet. * Clear window for I.D. * 1 long Money divider opening.